PCT Patent Pending claiming priority from earlier US Provisional Patent. 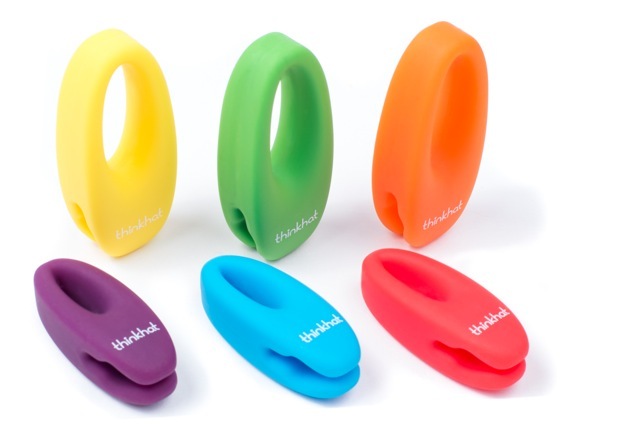 This product, branded by the name "The Snug" was a Kickstarter sensation in early 2013. It was funded on the above famous crowd-funding website, is in full production and has been selling online with many retailers including on Amazon. It has also been a heartthrob for many TV shows and online bloggers. See specific links below and also Google the name "The Snug ThinkHat" to find out pages and pages of information. Also checkout the Amazon page below to see the 5-star reviews. 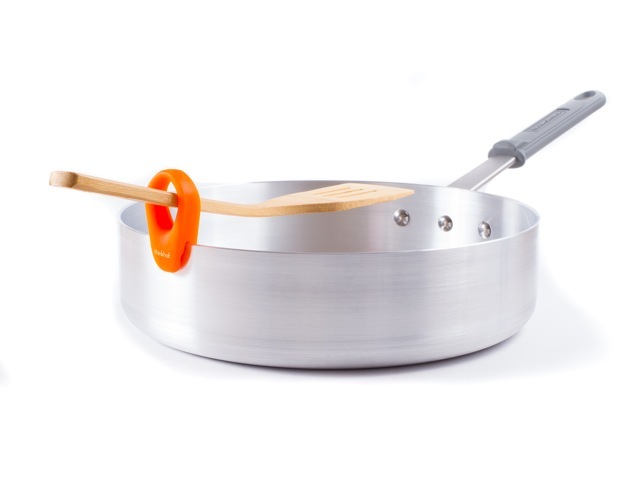 The Snug device is an ultra chic, minimalist and innovative kitchen gadget that does more than just catching your eye. It single handedly takes care of a lot of kitchen nightmares which we encounter everyday while cooking. 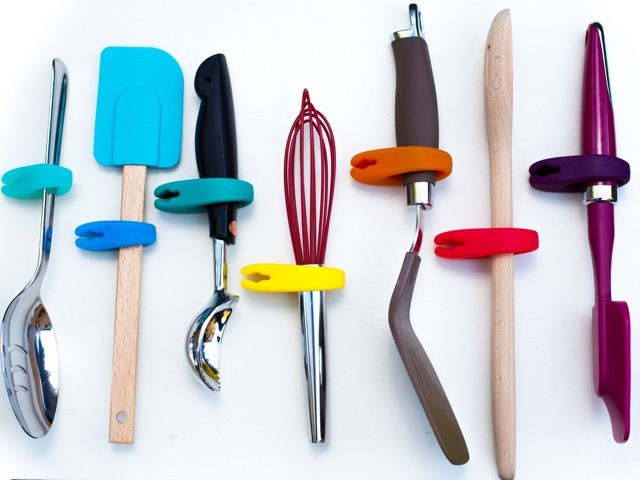 Whether it's preventing your plastic spatula from melting, the wooden one from scorching, or keeping the metal utensils cool, the Snug's got you covered. Who hasn't experienced the frustration and embarrassment of the serving spoon sliding into food? What about trying to keep that pot lid open a little while cooking to prevent the contents from bubbling out? The Snug is your answer to all of the above and more! 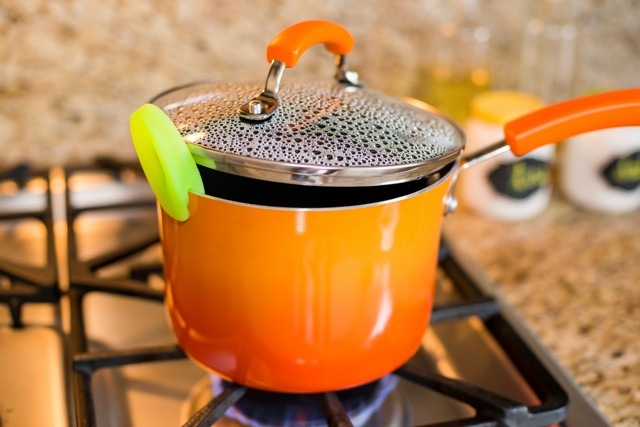 SNUG comes in two sizes and can be instantly attached like a sleeve to the handle of almost any cooking or serving utensil handle out there, regardless of the material, shape or size. To install, just grab the utensil with its handle, insert the handle into the top slot of the SNUG. For thinner handles, just twist the handle inside the SNUG slot. Once installed, it can stay there as long as you want it to be there. 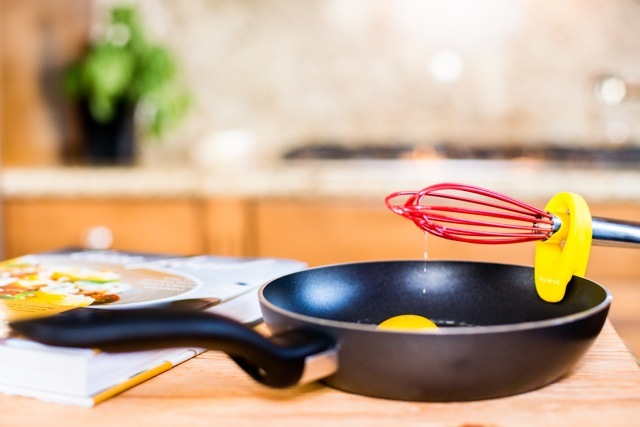 Snug is made of FDA compliant, high temperature grade Silicone material, that is heat resistant up to 570°F (or 300°C), sufficiently more than what you would ever need in the kitchen. This helps thermally insulate the utensil handle and keeps it cool. Snug is optimally designed to provide adequate flexibility around the top slot so that it can easily accommodate most of the utensil handle's shapes and sizes and also provide just the right stiffness at the bottom claw to give that nice “snug” feel when placing on the pot. As mentioned above, this product has already an established brand image in the name of "The Snug" from ThinkHat LLC. Market potential has already been proven with the help of current sales and its famous Kickstarter campaign, TV shows and Online blogs. It has been generating tens of thousands of dollars of sales in less than 2 quarters since its launch, without any formal marketing efforts. Possibilities are endless with good marketing efforts. Sales and production is ongoing (check Amazon link above. Also selling very well on Link Link Link etc.). I need someone to take over the production and increase sales with the help of different channels. I am looking primarily for a buyer for outright sale of the patent (pending), but will be interested in discussing licensing options (with royalties) with an established company having strong sales and marketing channels. Page created at 2019-04-21 5:11:33, Patent Auction Time.